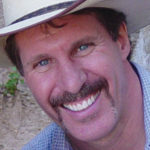 Why did I create a series of “first-ever” book signings in which I did a signing on top of a volcano, became the first-ever American author to sign in Cuba post-Castro, signed books digitally and on horseback at Barnes & Noble, and created a YouTube scavenger hunt that garnered over a million views? It’s simple: to sell my book, The Legacy Letters. We are writers. That is our calling. We live in our author’s cave, and we hate to leave it. Here we create universes through the magic of our words and mastery of our phrases, surrounded by talismanic tchotchkes and sacred coffee mugs. But when we finish our work, we must leave the cave and be writers no more. Why? If we truly want to bring our words to the world, we must become “authorpreneurs” and become the sellers, hawkers, and word-oil salesman of the very creations we have labored over for years. We must become professional “noisemakers” whose sole job is to keep our words from drowning in the flotsam and jetsam of today’s modern media. Our problem is that we must learn how to get our beautiful words heard above the noise. 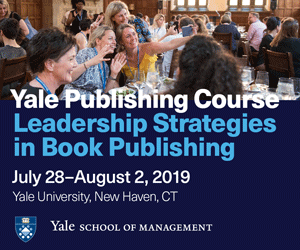 After a few years on the frontlines of creating first-ever book events and signings, I’ve figured out a few underlying principles and must-dos that will help all authors become successful authorpreneurs. One of the biggest mistakes I see with many authors is their desire to sell their book to the world. This is not your audience. Sell to the people who want to read your type of book. Don’t spend time, money, and resources trying to get a romance reader to read or review your sci-fi thriller. When you find your audience, they will love you for finding them. They will become your greatest advertising. They will believe in your book—and you—before anyone else. 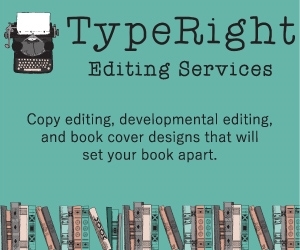 Genre writing is the easiest to market to because your readers are pre-devoted. They are looking for a new voice to give them what they love already. Does this sound obvious? Yes, but sometimes the greatest marketing innovation is making sure you have the right audience and the right message. Remember, you are not just selling your book; you are selling you. Even now when you tell someone you’re an author, you should immediately command respect with a hint of awe. You are celebrity for a moment. And the next question is, “What have you written?” Now is your chance. Create an irresistible message about your book—a pitch—and give it with gusto. You are now a 30-second walking ad that must create enough drama and interest to convince someone to invest in your book. Why 30 seconds? Because that’s the attention span of the internet age. And why do you have to create this pitch? Because every time there’s an opportunity to tell someone about your book, do it. Write it out first. Practice with your dog. Then your spouse or partner. Edit until they like it. Then try it with friends. After several hundred revisions and pitch sessions, you’re ready. Even though I’ve done hundreds of book signings, I always pitch like it’s my first time—with passion and conviction. Nobody has a greater stake in your book than you. But be careful. Giving the greatest pitch in the world to the wrong audience will get you the most devastating of replies: “That sounds interesting.” A simple way to make sure you’re giving your message to the right choir is to preface it with several books your audience might have read. Depending on the age and “read” of their personality, I will say something like, “Have you ever read Tuesdays with Morrie or Bridges of Madison County?” If they say yes, then I know I’m pitching to my choir. Always have a book close at hand. When I fly, I always carry a copy to show people, and most end up reading it on the plane. I’ve sold more copies while flying than at some book signings. If they want to buy more, tell them you’ll sign them, too. I once had a woman who was so taken with reading the book on the plane that she told me she wanted 25 copies for her family. I told her if she bought 25 copies, I would sign all 25 to her family members. Always have your “book business card” with you and give it out like candy. Marketing innovation is not just what’s new but also tried and true. If your audience loves your pitch and you don’t have your book handy, make sure they have something to remember you by. Business cards may seem like relics from another era, but they work. It’s a mini version of your book they can carry in their hands. Make sure the card has a picture of your book on one side and your picture on the other. Your picture is important. Remember, people want to have a relationship with you as an author, too. I put my email address and a few social media icons on the card, as well. I also leave a little room in case I want to share my personal cell number. 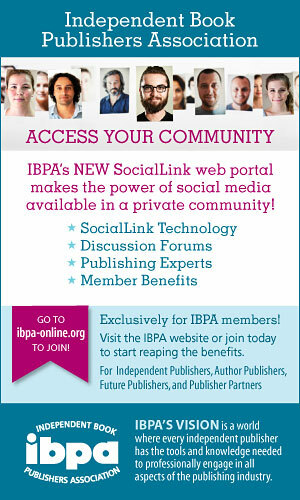 Does social media sell books? Not really, but it does sell you. And you must have a social media presence, however small. It’s expected, because “your choir” wants to know where to find you. So give them roadmaps that are easy to follow. Secure your dotcom name. Example: carewpapritz.com. Yes, you can get your book name website, but ultimately your “choir” will follow you and not just your book. 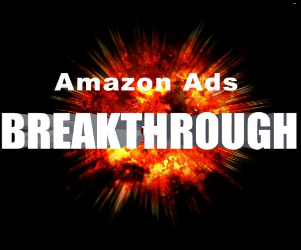 Fill out your Amazon Author Profile Page. It’s the best free advertising and it does help sell your books. Get a Facebook Author Page and YouTube channel with your name. Post religiously. If you don’t know what to post, give your audience a few choice lines from your book. Post enough so people know you’re still writing. One of the great marketing secrets I learned from my book, The Legacy Letters, was how to live the central message of “living life to the fullest”—and taking it beyond the pages of my book. Do you remember as a kid how much you loved being read to in bed? 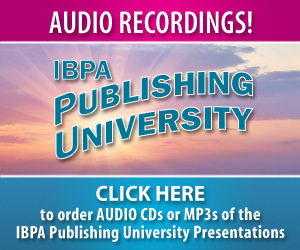 Read passages of your book to your audience and post it on YouTube, the second largest search engine in the world. You are the greatest messenger for you own words. Grab your cellphone, someone to film you, and read your book. Afterwards, upload it to your YouTube page. Read your book someplace interesting. Romance writers? Read from your bed. Sci-fi writers? In front of a poster. If your book takes place in the tropics, put tropical plants around you while reading. In today’s world, you are the cover of your book, and people will discover your words by getting to know you. Authors can’t hide behind their pages; they must be in front of them. By honing your message, pitching to the choir, and finding marketing inspiration in your own words, you will become the greatest messenger and salesman in keeping your words alive for others. When you leave the author’s cave, you are no longer an author. You are the cheerleader, the protector, the hawker. You are the CEO of your words, sentences, and pages. Writing is what writers love to do. Selling is what writers must do. Sell your belief in your words and you will sell your books. 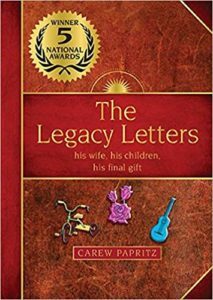 Carew Papritz is an award-winning author of the inspirational bestseller, The Legacy Letters. 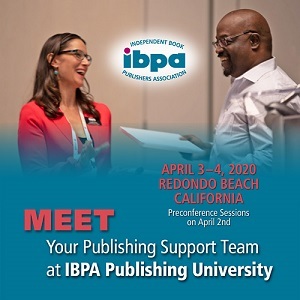 For more advice on book marketing, check out this IBPA Independent article: Marketing Savvy: 3 Ways Virtual Marketing Can Increase Book Sales.